ALBANY, N.Y. New York's attorney general sued Donald Trump for $40 million Saturday, saying the real estate mogul helped run a phony "Trump University" that promised to make students rich but instead steered them into expensive and mostly useless seminars, and even failed to deliver promised apprenticeships. Trump shot back that the Democrat's lawsuit is false and politically motivated. Attorney General Eric Schneiderman says many of the 5,000 students who paid up to $35,000 thought they would at least meet Trump but instead all they got was their picture taken in front of a life-size picture of "The Apprentice" TV star. "Trump University engaged in deception at every stage of consumers' advancement through costly programs and caused real financial harm," Schneiderman said. "Trump University, with Donald Trump's knowledge and participation, relied on Trump's name recognition and celebrity status to take advantage of consumers who believed in the Trump brand." But Trump's attorney accused Schneiderman of trying to extort campaign contributions from the real estate mogul through his investigation of Trump. Attorney Michael D. Cohen told The Associated Press on Saturday that Schneiderman's lawsuit was filled with falsehoods. Cohen said Trump and his university never defrauded anyone. "The attorney general has been angry because he felt that Mr. Trump and his various companies should have done much more for him in terms of fundraising," Cohen said. "This entire investigation is politically motivated and it is a tremendous waste of taxpayers' money." State Board of Elections records show Trump has spent more than $136,000 on New York campaigns since 2010. He contributed $12,500 to Schneiderman in October 2010, when Schneiderman was running for attorney general, records show. 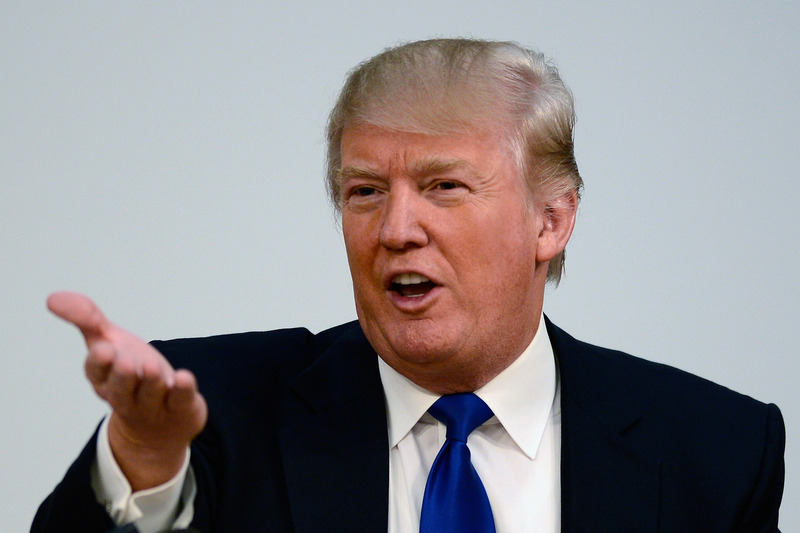 An outspoken conservative, Trump himself flirted with a presidential run last year. "Donald Trump will not sit back and be extorted by anyone, including the attorney general," Cohen said. The lawsuit says many of the wannabe moguls were unable to land even one real estate deal and were left far worse off than before the lessons, facing thousands of dollars in debt for the seminar program once billed as a top quality university with Trump's "hand-picked" instructors. Schneiderman is suing the program, Trump as the university chairman, and the former president of the university in a case to be handled in state Supreme Court in Manhattan. He accuses them of engaging in persistent fraud, illegal and deceptive conduct and violating federal consumer protection law. The $40 million he seeks is mostly to pay restitution to consumers. He dismissed Trump's claim of a political motive. "The fact that he's still brave enough to follow the investigation wherever it may lead speaks to Mr. Schneiderman's character," Schneiderman spokesman Andrew Friedman told AP. State Education Department officials had told Trump to change the name of his enterprise years ago, saying it lacked a license and didn't meet the legal definitions of a university. In 2011 it was renamed the Trump Entrepreneur Institute, but it has been dogged since by complaints from consumers and a few isolated civil lawsuits claiming it didn't fulfill its advertised claims. Schneiderman's lawsuit covers complaints dating to 2005 through 2011. Students paid between $1,495 and $35,000 to learn from the Manhattan mogul who wrote the best seller, "Art of the Deal" a decade ago followed by "How to Get Rich" and "Think Like a Billionaire." Scheiderman said the three-day seminars didn't, as promised, teach consumers everything they needed to know about real estate. The Trump University manual tells instructors not to let consumers "think three days will be enough to make them successful," Schneiderman said. At the seminars, consumers were told about "Trump Elite" mentorships that cost $10,000 to $35,000. Students were promised individual instruction until they made their first deal. Schneiderman said participants were urged to extend the limit on their credit cards for real estate deals, but then used the credit to pay for the Trump Elite programs. The attorney general said the program also failed to promptly cancel memberships as promised.